But, before JUMP to strategies on how to fix depression once it is present, lets take a look at what we can do to prevent depression from developing in the first place. First, we need to think about depression as a social model rather than a medical one . Strategies which can prevent depression from even STARTING, known as primary prevention, include reviewing risk and protective factors for an older person. Prevention includes offering appropriate support as the older person progresses through changes in late life - such as moving home, experiencing declining physical health and increased need for support. Older people respond well to protective factors, such as social inclusion, participation in meaningful activities and exercise which offer understanding, empathy and creativity. Older people in particular respond well to individualised strategies which focus on their unique journey. Strategies which can prevent depression from GETTING WORSE, known as secondary prevention, include early detection, referral to appropriate health professionals for assessment, treatment options and monitoring. The longer that depression is left untreated the longer it takes for the older person to recover and feel better. 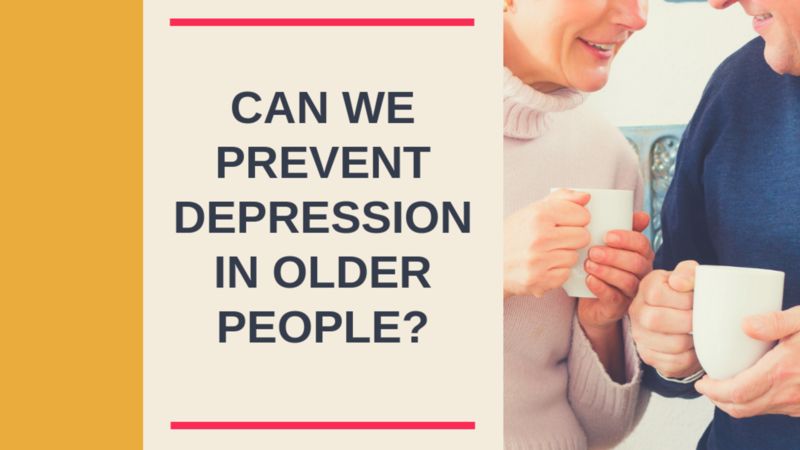 Depression is the same condition across the life span and it can be treated in older people. Strategies to prevent depression from RETURNING, known as tertiary prevention, include ongoing monitoring, reviewing older person's coping strategies and boosting their support network. What impact do you think that depression in older people has on health professionals who support them on a regular basis? You can watch this video to get more details on this very topic.